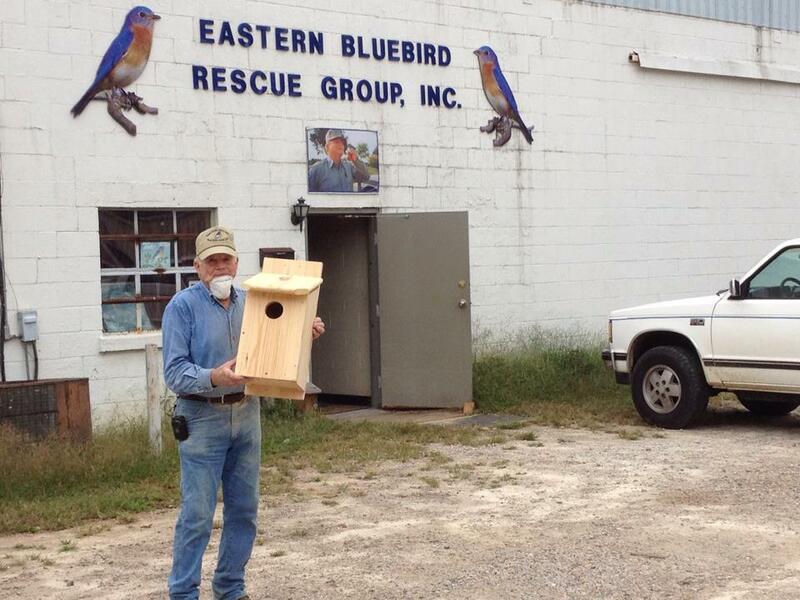 Frank Newell from Warrenton, NC, holding an Eastern-screech Owl Box he made. Several of our local species of birds are threatened by habitat loss, including loss of nesting habitat. You can help in New Hope Audubon’s efforts to restore nesting habitat for some of these species by putting up nest boxes in your yard and even at your place of work or at other appropriate settings. The three species that we are focusing on in regard to providing nesting habitat are the Brown-headed Nuthatch, Eastern Bluebird, and Eastern Screech-owl. You can read more about these species and other threatened species on our Species of Concern webpage. New Hope Audubon sells nest boxes for these three species to assure that the boxes meet the needs of each species and our sales also raise money for our conservation projects. You can order boxes from us, for local delivery only, on this webpage, purchase them at our meetings, or purchase them at our booths at local conservation events. If you purchase nest boxes elsewhere or build your own, be sure they are functional and meet the detailed requirements of each species. As examples of how detailed these requirements can be, Bluebirds need about a 1 ½” nest box opening. Much larger than that and bigger birds will take over the box. An ideal opening for Brown-headed Nuthatches is 1 1/8” or other birds, including Bluebirds, will evict them. And both nest-boxes require metal excluder rings around the opening to keep squirrels from enlarging the opening for their own use. Our nest boxes meet these requirements and several more requirements for “functional” nest boxes.